The Hamilton’s have been involved with McDonald’s for what seems like their entire lives. Content and Rusty have owned McDonald’s in the Birmingham area for many years. 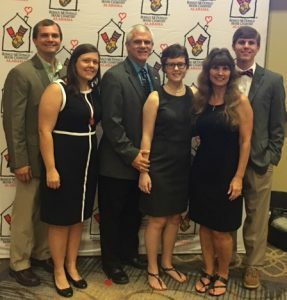 Their family has always been actively involved in the community and always supported Ronald McDonald House Charities of Alabama. In 2016, their involvement with the charity changed. It became more personal. We share their story with you below. 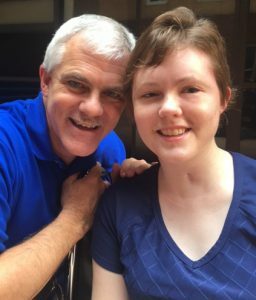 “On February 5, 2016, I texted my daughter, Krista, at college with my usual greeting of “Good morning beautiful.” She replied back with “I’m throwing up.” As a mother, my heart dropped. I wasn’t there for my daughter when she needed me. I asked her if she could get to the school nurse and she told me she did not think she could. I left work went to get her and we immediately went to the Emergency Room. They said it was a stomach virus, gave her IV fluids and sent her home. Instead of taking her to the house she shared with 3 girls, where she had a bedroom by herself, I brought her to our family home. I didn’t want her to be sick all by herself or to expose her friends to her illness. She slept with me that night while her dad slept on the couch. We drank Gatorade and talked as we went to sleep. At 2:00 am when she woke up, we talked again. At 7:00 am I went to wake her, she was unresponsive. An ambulance took her to the local hospital where they discovered that her brain was swelling. 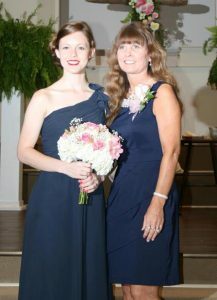 She was flown to Erlanger Hospital in Chattanooga for an emergency craniectomy. It was there, the doctors found that when she was around 5-years-old and her skull should have fused together, it did not. Krista’s forehead right behind the upper sinus cavity didn’t completely fuse together as it should have. We never knew she had a sinus infection, but it had gone straight to her brain. In Chattanooga, almost 2 hours away from home we had to face the most horrible day of our lives. We, as owner/operators of McDonald’s restaurants had always supported the Ronald McDonald House. We had even done our own fundraising. We never dreamed we would one day be staying in a room at a Ronald McDonald House ourselves. As a family of five, this was the first time any of us had ever stayed in a hospital overnight. Now, our own Krista was going through this traumatic experience. We had heard the stories about the benefits of staying at a Ronald McDonald House and seen the statistics, but let me tell you, first hand. Being able to sleep right across the street from the hospital where my daughter was being treated made it so much easier to sleep. Being able to sleep in a bed rather than a chair in her room, made for a much better nights sleep. Several nights we did not feel Krista was stable enough to leave, so we did sleep in her room, but we had somewhere to go if we needed it. Somewhere right across the street. We wouldn’t have gone anywhere farther away simply because of feeling so uncomfortable leaving her. At the Ronald McDonald House in Chattanooga and in Birmingham, we had a bed, snacks, a shower, a washer and dryer and more. All these things made being away from home (and knowing we would not be returning home for 6 weeks) easier to bear. We have had to return to the hospital several times and still have several more surgeries and procedures to go, but knowing that the Ronald McDonald House is across the street makes the entire situation so much easier. To support a family like the Hamilton’s, donate online or the next time you are at your local McDonald’s.